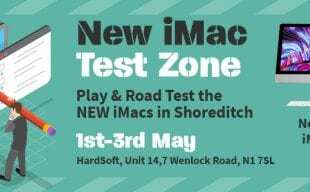 Part-Exchange your old Apple Mac, iPhone or iPad for a new device! Apple Mac products hold their value. That’s why we offer part-exchange on all your old Apple devices. When it’s time for you to upgrade don’t let your old devices hold you back! Build your Discount & find out how much you could save! Press ‘Submit’ & you’ll be sent a unique discount code to redeem when you checkout. 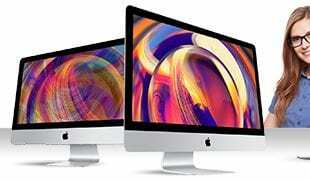 Your Journey to a new Mac starts here with our online instant valuation on your old Apple devices. The trade-in value displayed is a weekly equivalent (excluding VAT) that are deducted from all your direct debit payments for the duration of any three-year lease. We are an Authorised Apple stockist & our trade-in values won’t be beaten! Enter your details below & get your discount code to redeem at checkout. Q: How do I ship my item to you? A: We’ll ask you to ensure that your item is safely packed in a box, or wrapped up tightly to prevent damage in transit. We will arrange for a courier to collect the item from you free of charge on a day & from a location to suit you. Q: Do you part exchange PC’s? A: Sorry no, just Apple Macs. Q: I have sensitive information on my hard drive, what do I do? A: Don’t worry, your Mac will be wiped of all data to MOD standards. GUARANTEED! Q: Can I have my Mac collected from a different address to my home address? A: Yes, we will collect your Apple Mac from any UK address. Q: When will the courier come? A: Our free courier service will arrive at any time between 9am and 5pm on a weekday at a location of your choice. This will be on a pre-agreed date and must be within 7 days of you receiving your new Apple Mac from us. Q: Does the Mac have to work to qualify for part exchange? A: Yes it does, and we must receive a power cable/charger back with the Mac. If we do not, we will charge a fair market value to replace this missing item. Q: What’s the oldest Mac you will accept back? A: We will accept any Mac from the year 2011 up to present current Macs.